EBM giants Nitzer Ebb, who reformed late last year and played a handful of dates in December, today announced an 18-date, two-leg North American tour ahead of their planned appearances at a spate of European summer festivals and additional concerts into the fall. The first leg of the North American tour, announced on the band’s website, opens May 9 in Boston and continues through May 26 in Dallas. Following those European summer festival appearances, the band returns to North America for a second round of dates that begin Sept. 19 in Austin, Texas, and wrap up Oct. 5 in Los Angeles. 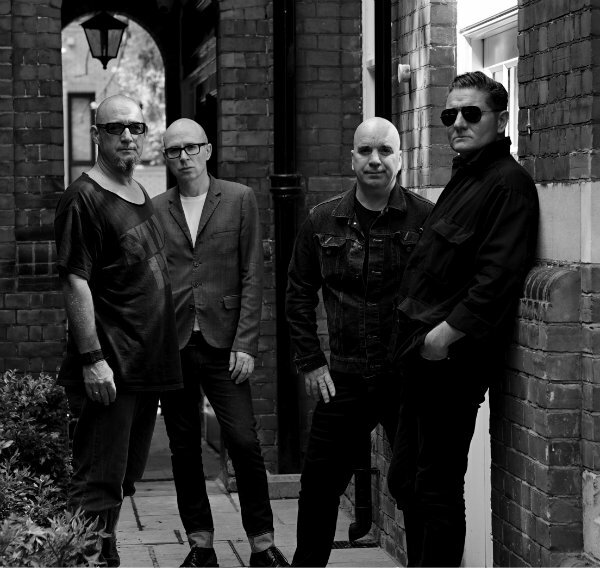 Watch Nitzer Ebb’s website for full ticket information. The current tour, which will include the group’s first U.S. shows since 2010, finds Nitzer Ebb mainstays Bon Harris and Douglas McCarthy joined by original drummer David Gooday, back in the fold for the first time since 1987, and Simon Granger of Stark. It follows the release last year of deluxe reissues of the band’s full catalog on CD and a pair of giant vinyl box sets. Check out those tour dates below. How can you not play in Detroit? There is some time to sort out Detroit, its all about venues, schedule and availability. Detroit is listed on the concert list. Sept 21. Woohoo!! That was the Word Violation Tour in 90, wasn’t it? Loved that show. Seen them solo about 3 times since then on tours. @dj Kenny – you’re right! Nitzer Ebb just released “Showtime” and was on the World Violation Tour – Showtime/Violator two great albums of 1990. Mode’s “Music for the Masses” gig at Alpine Valley [had to check my ticket stub] had Echo & The Bunnymen opening up. I love these guys. They put on such a great show.